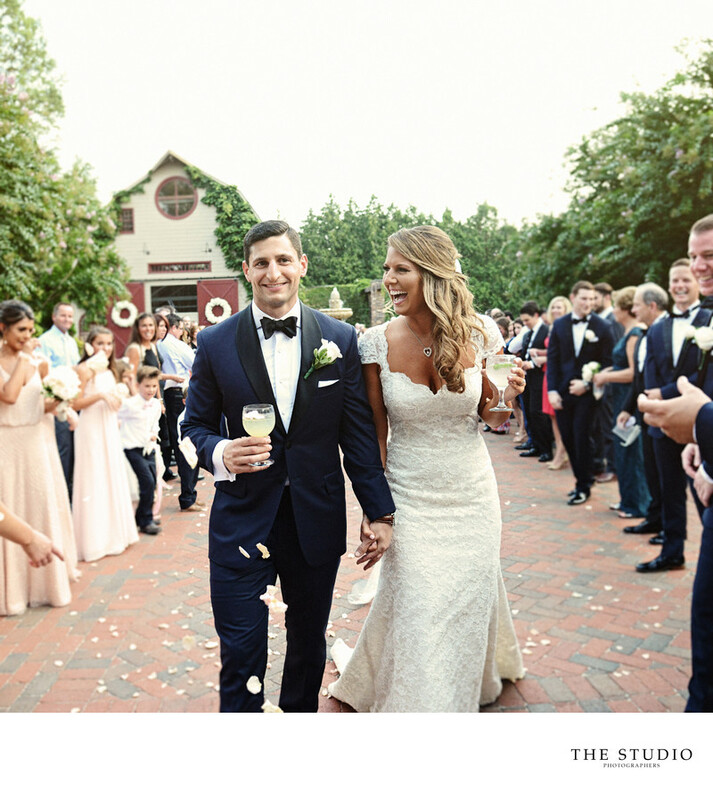 Kaitlin and Dan absolutely shined at their fall NJ wedding at the Ashford Estate. After the ceremony, all their guest created a walkway for them to walk from the rustic barn ceremony to their french chateau reception. Drinks in hand and with everyone cheering, they laughed together hand in hand. Moments like this are one of the benefits of having a venue that has facilities for both your ceremony and reception. All of the Weddings of Distinction estates in New Jersey have this ability. Location: 637 Province Line Rd, Allentown, NJ 08501.